If there is a non-IDE disk controller in your system, or you plan to use network disks or external hardware devices, first check the Hardware Compatibility List . 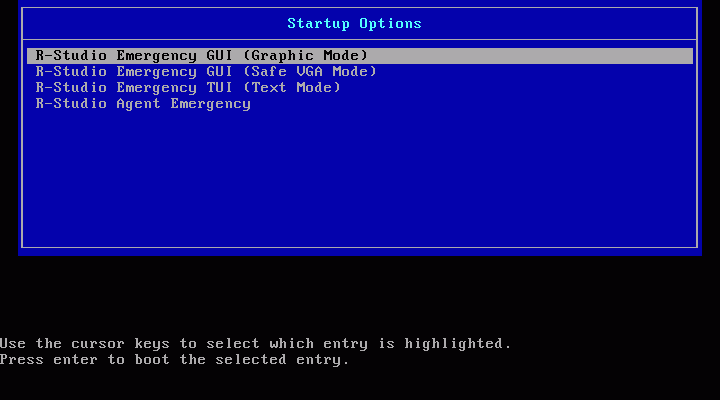 Select the R-Studio Emergency GUI (Graphic Mode) to run R-Studio Emergency in the graphic mode in which its user interface is similar to the Windows version. If R-Studio Emergency cannot run in this mode, restart the system in the Safe VGA mode (only VESA-compliant) which is compatible with most video cards and monitors. If it fails too, select the Text mode in which the R-Studio Emergency user interface is shown in the pseudo-graphic mode compatible with all video cards. 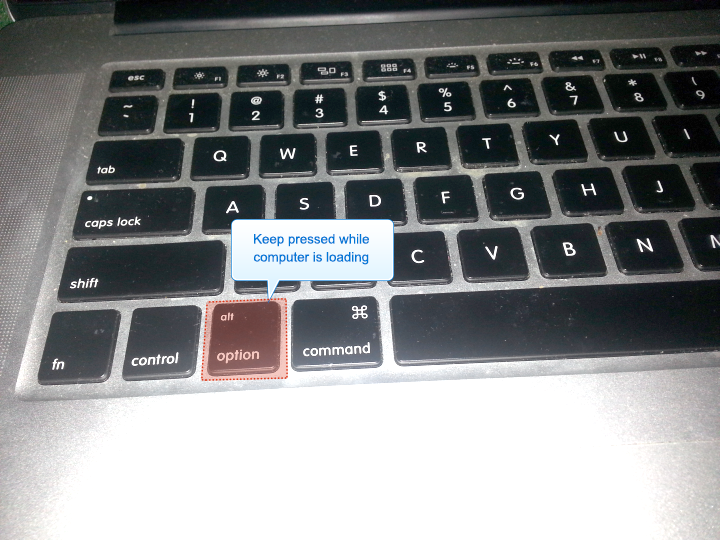 The help describes this pseudo-graphic mode. Refer to your system documentation for details. 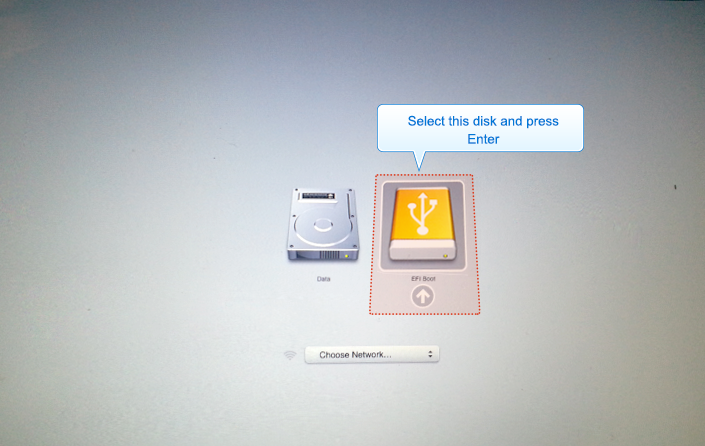 3 Insert the second disk and press ENTER .